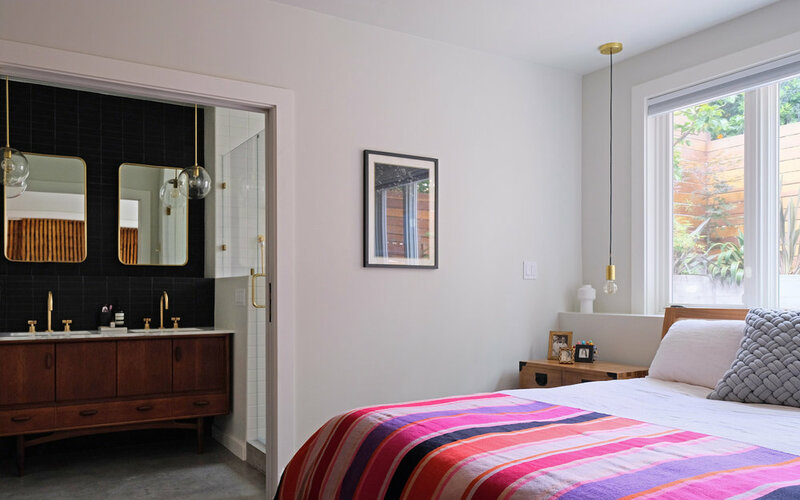 SFDB was hired to remodel this single-family home in the Bernal Heights neighborhood of San Francisco. 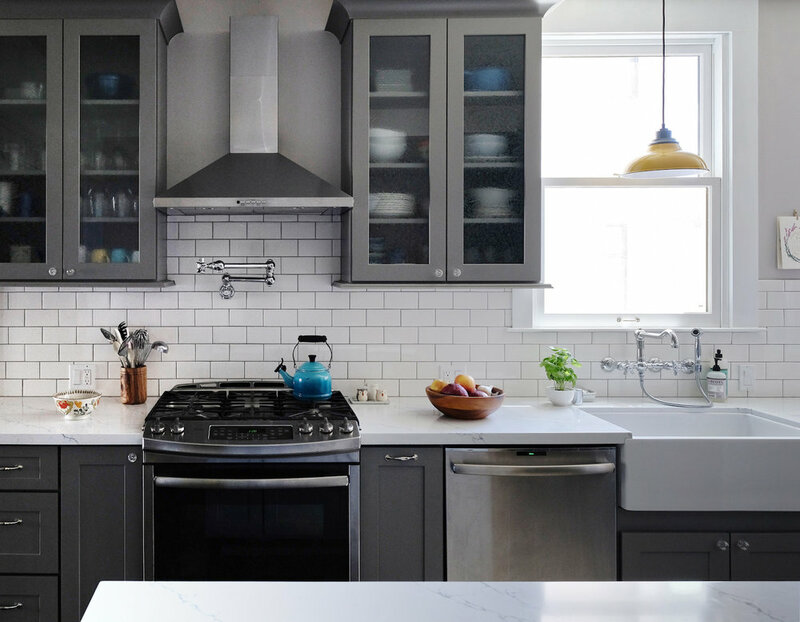 The home owners needed to increase the square footage of their home to better function for their growing family. Local zoning laws did not allow for an expansion of the building, so we worked within the existing envelope by maximize the ground floor garage area. We maintained one standard car parking and added a storage room, and then used the rest of the garage to create the new living space. The garage is partially below grade so we added large windows at standard interior sill height with views to the rear yard to keep it from feeling “like a basement” as well as maximize light. 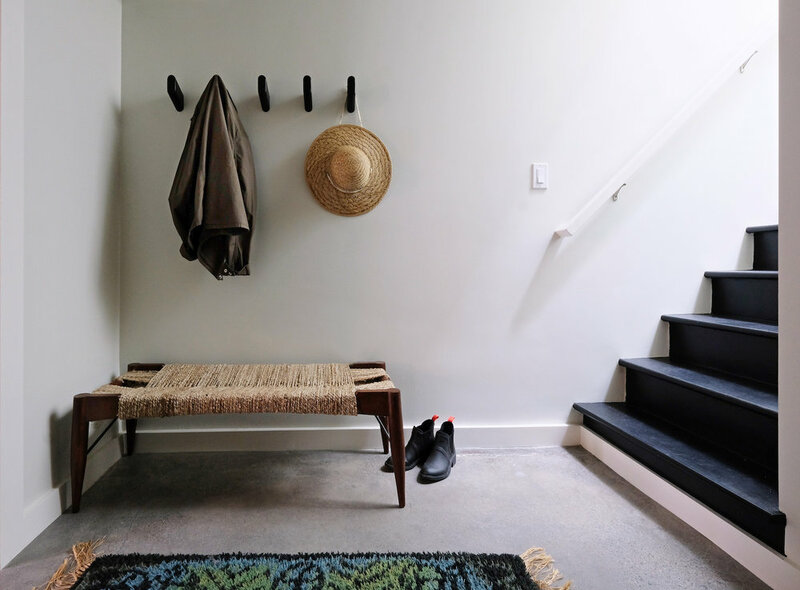 The connection to the rear yard runs through this space so we needed to maintain that while prioritizing privacy and flow. We did this by using a series a sliding doors that allow each area to be opened or closed, while keeping direct flow to the patio space beyond. 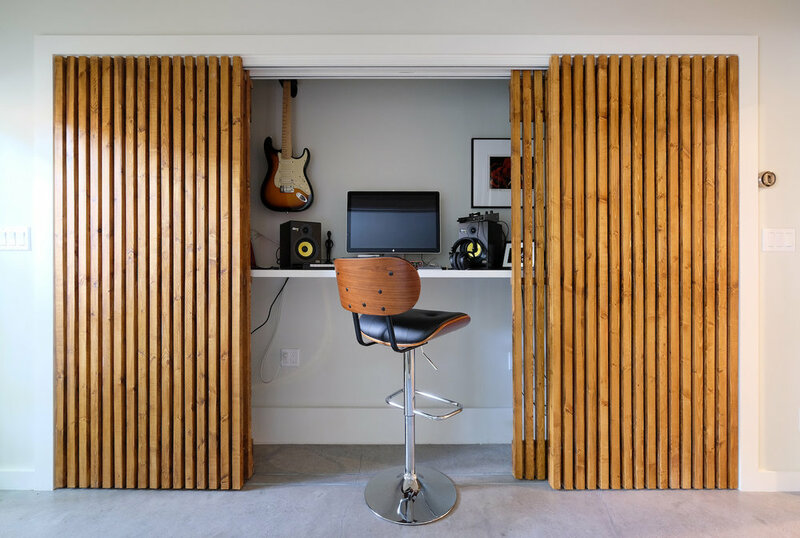 The hallway to the rear yard has a dual usage - behind custom poplar vertical slat doors in a “music closet” with a built-in standing desk so that this hallway can turn into a private work space when the sliding doors are closed. 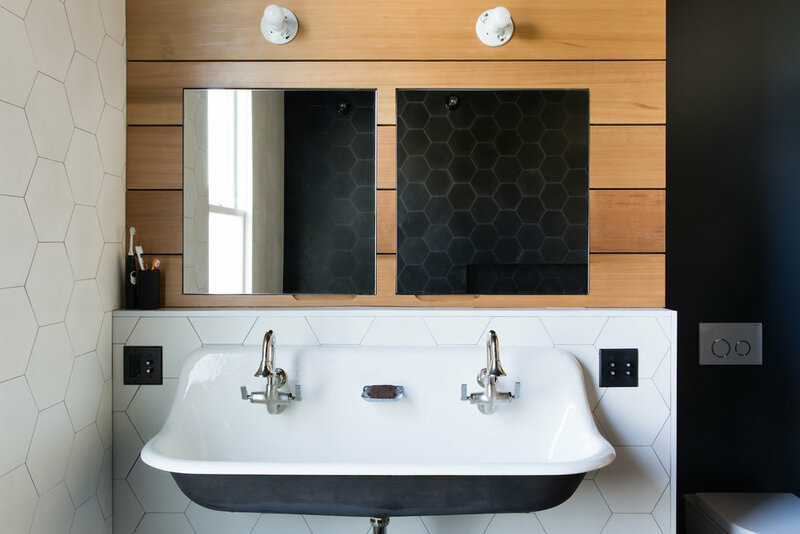 Design details include a vintage midcentury credenza turned bath vanity, a freestanding tub in shower, black Heath tile vanity wall, gold Rejuvenation and Schoolhouse Electric fixtures, heated concrete floors, and custom wood sliding doors. 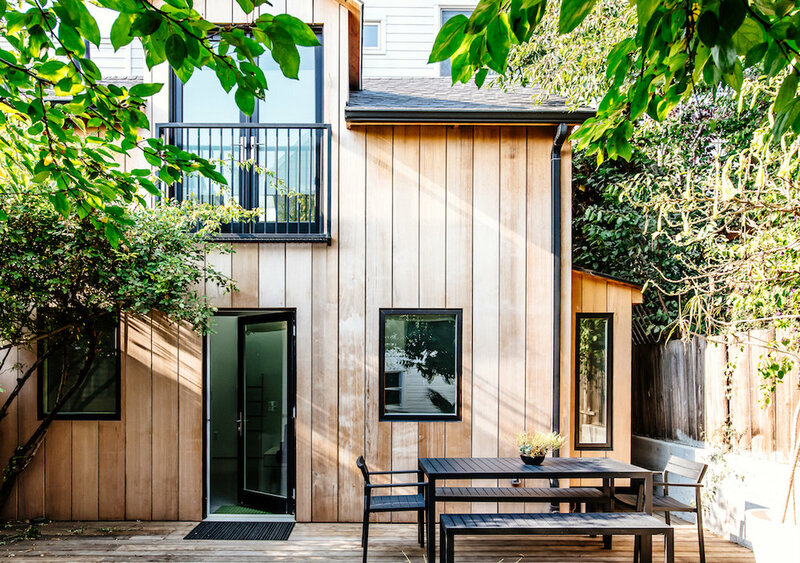 We couldn’t have been happier working with SF Design Build. 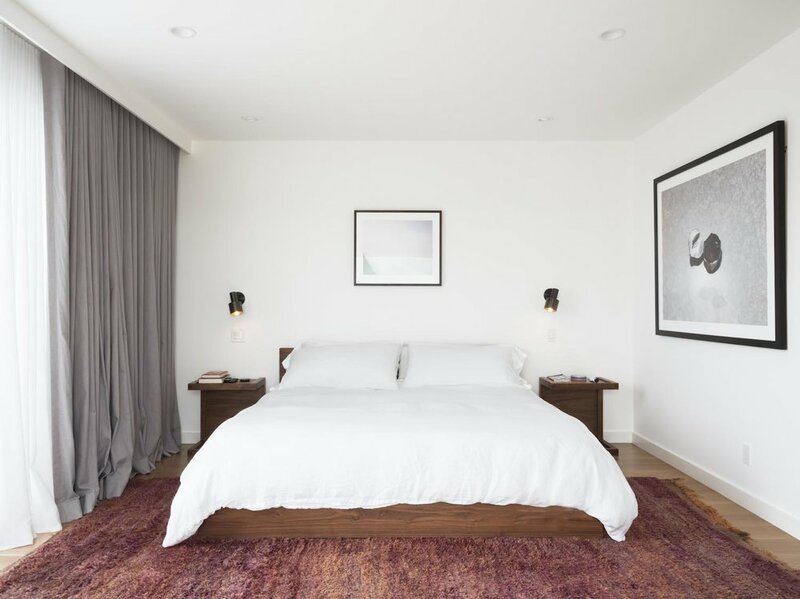 We hired them for a fairly large job - transforming our unfinished garage/ground floor in Bernal Heights into a master suite including a bedroom, bath, large walk-in closet, laundry room, office area, and garage storage. Going into the project, we knew that we wanted to hire a design/build firm to avoid the back and forth we know can come from hiring separate designers and builders. When we found SF Design Build, we knew that we had made the right choice. 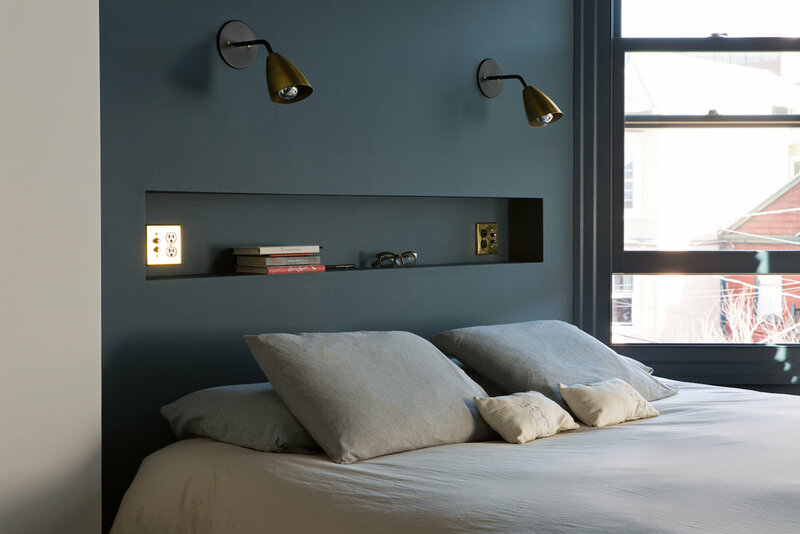 Rudy and Jessica are such a great team - seamless communication, no-drama, very accessible, professional, and wonderful design and craftsmanship. 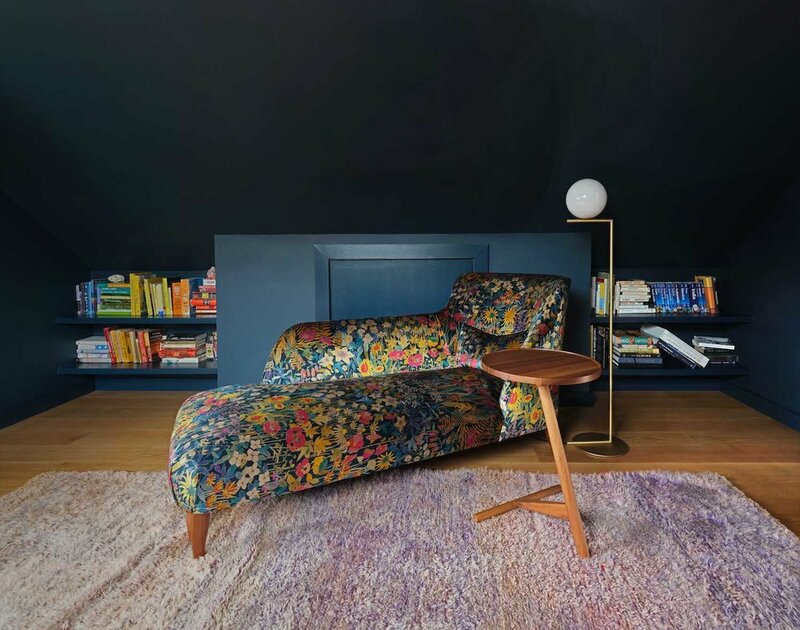 As a designer, Jessica came up with very creative solutions to maximize our space, and is a total design pro - she anticipated design challenges before they arose. Rudy led a construction team who were friendly, dependable, and talented - important qualities when they are at your house everyday for months.